APA-Kumasi (Ghana) — President Nana Akufo-Addo has paid glowing tribute to the King of the Ashanti Kingdom in Ghana, Otumfuo Osei Tutu II, for his dynamic role in the development of the country. Shortage of skilled staff and adequate medical instrument is hindering Sierra Leone’s effort to win the fight against Tuberculosis or TB, an official at the Ministry of Health has said, calling for more investment in the sector. Dr Linda Foray, who heads the ministry’s National Leprosy and TB Control Program, said despite the capacity limitations, the country has recorded major gains in its anti-TB crusade. She added however that cases of TB are still high, pointing to a need for more attention from relevant stakeholders. Speaking in the context of the World TB Day, commemorated on Monday March 25, Dr Foray said currently some 17, 169 people affected by the bacterial disease have been put on treatment in the country, out of an estimated 23, 000 cases. “From the WHO point of view, there is an estimate of 23, 000 people with TB and the estimate of TB deaths in Sierra Leone is about 3000,” Dr Foray told journalists on Monday. She also disclosed that there was an estimate of 780 TB/HIV Co-infection and that the population of people affected by multi-drug resistance ranging from 400 to 660. Countries with more than 10,000 people with TB per year are considered a high burden country. The day, designated by the WHO, is used to reflect on the gains and future efforts to end TB in court. 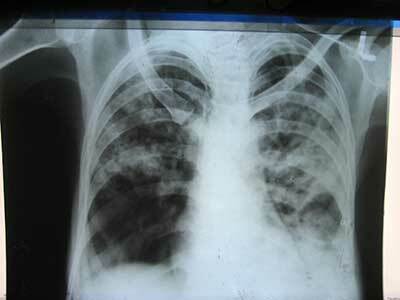 TB is an infectious disease usually caused by bacteria. It generally affects the lungs, but can also affect other parts of the body. Its most common symptoms are chronic cough and fever. But sometimes victims do not show symptoms. The disease is airborne and can be contracted via coughs and sneezes by infected people. The disease is referred to as the sickness of the poor because it mostly affect poor people living in squalid conditions. Globally, ten million people are affected annually by TB, out of whom 1 million are children. World leaders, under the UN’s Sustainable Development Goals, target 2030 to end the TB epidemic.